Weather keeps changing from hot to cold and then back forward the last couple days. It’s that time of the year to pay extra attention to replenishing your body with nutrition and flu fighter food. 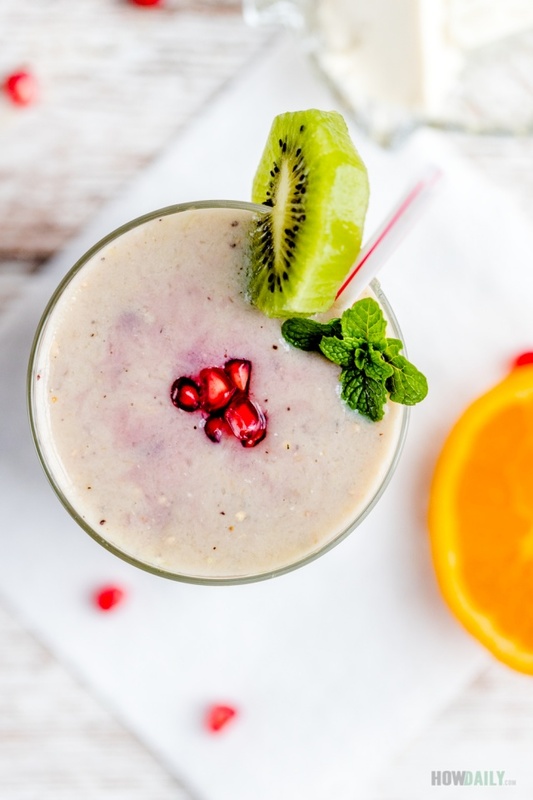 Something with lots of calcium, anti oxidant, vitamin C…something like this pomegranate kiwi orange smoothie or what I call it, the healthy flu fighter smoothie. Both pomegranate and orange can be kept long on counter, so getting some extra might be wise. I would get load of young coconut, extract the juice/water and freeze those into ice cubes. Whenever you need them, just pop them out of their molds. Coconut flesh can be frozen, toast or dry for baking recipes. The same goes for kiwi, you can peel their skin, cut into chunks and freeze them. So in the morning or lunch, just pop out all the ingredient and quickly process them into smoothies. They will be extra cold that way too, instead of diluting with regular crushed ice. 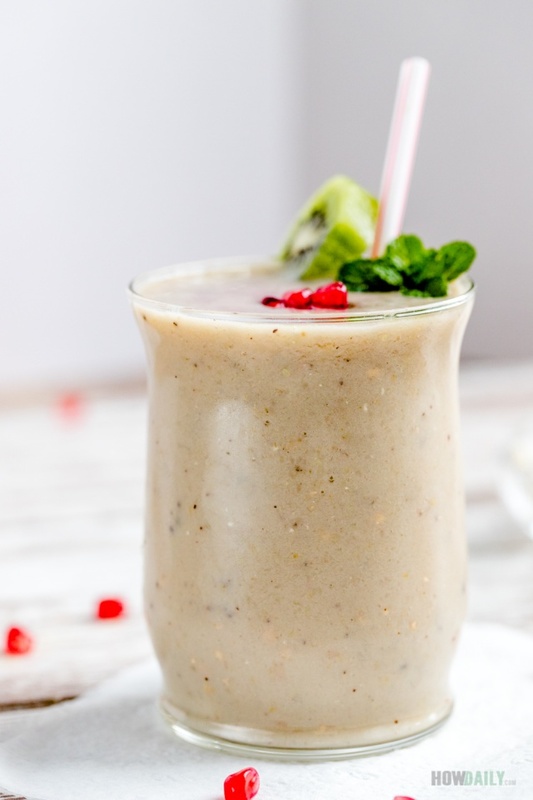 If you need some sweet, try to use honey or coconut sugar instead for healthier drink. Other nectar works too, but the pomegranate and orange should be sweet enough. 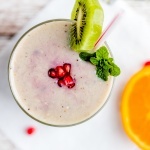 Simple smoothie that implements major antioxidant ingredients that would help to fight season flu and improving immune system. 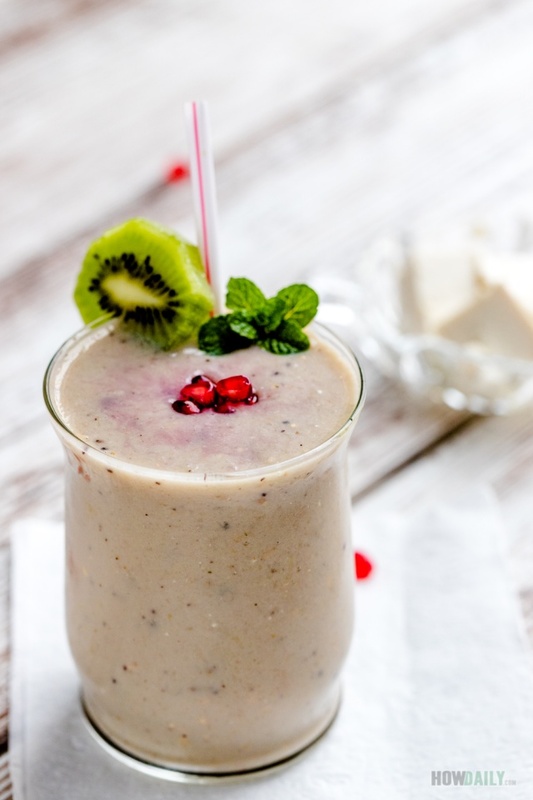 Try this with kiwi, pomegranate and orange smoothie with some silken tofu for extra protein too. Add everything to your blender, probably with some crushed ice if prefer, then pulse for a few time. Start by rolling it a couple rounds to loosen the inside seeds. Carve and snap the top rind off. Score along segment lines, then gently snap off each sections.